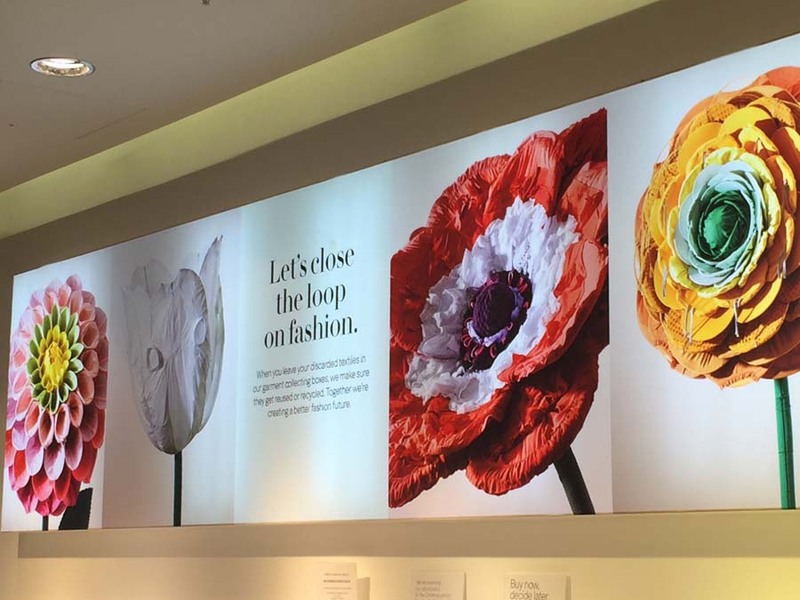 H & M’s ‘Flowers Made From Clothes’ campaign was designed by Rachel Thomas, who is an innovative, creative art director and set designer. She works with a diverse range of clients and has gained a reputation as one of the most original image makers in both the fashion industry and wider commercial world. 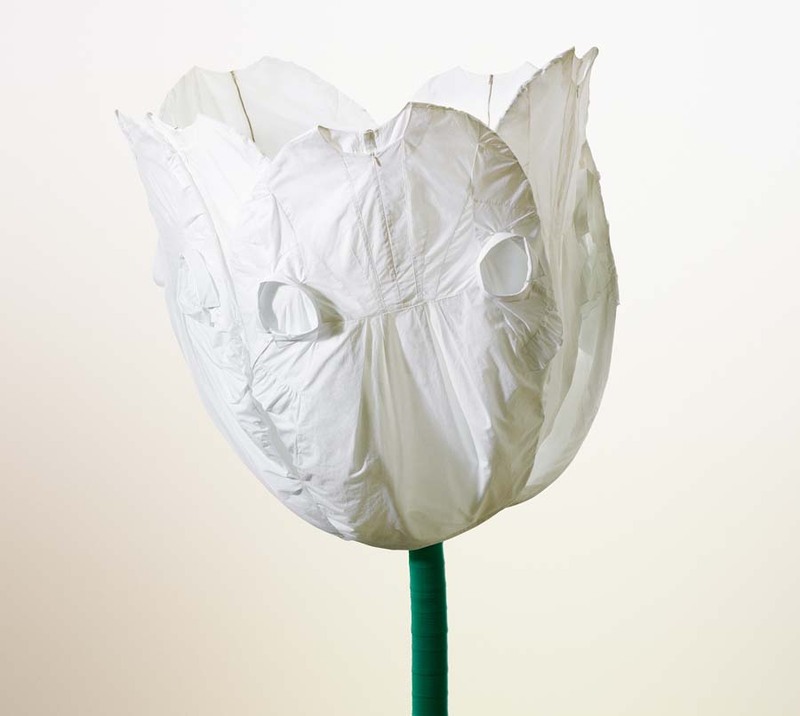 For this project, we were asked to produce huge models of flowers using clothing attached to wooden and wire frames. We produced four different types of flowers; a tulip, anemone, dahlia and ranunculus. 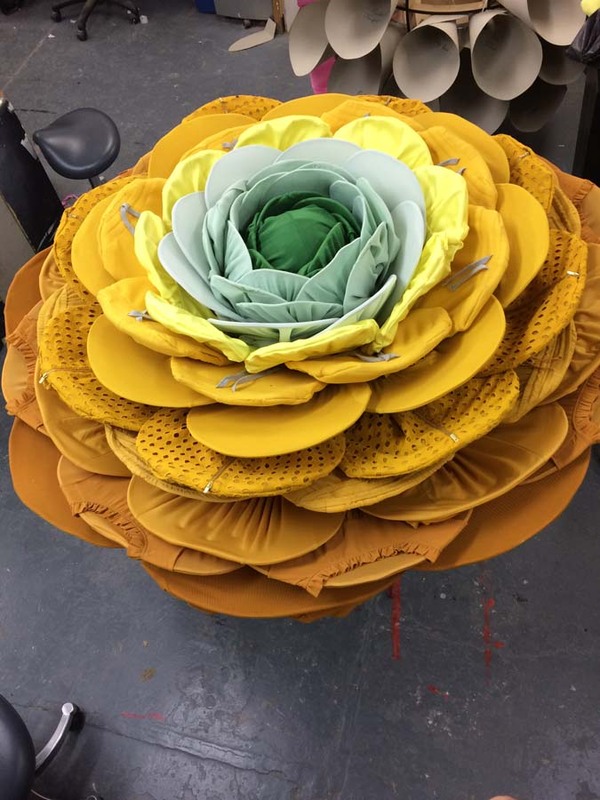 Each garment was sewn to make giant petals, stems and leaves, then attached to the framework to build each structure. In total we used 800 garments. The result was stunning with a real ‘wow’ factor and the campaign is proving to be a huge success. The actual flower props are currently touring Europe but before they were shipped off, photographer Dan Tobin Smith took photographs. These beautiful images are currently above the counters in most of the UK’s H & M stores. We are proud that Rachel Thomas has continued to work with us for over ten years and that however challenging the project may be, we always deliver to her brief.